Tom Kempa received his B. S. degree in Chemistry from Boston College in 2004. Subsequently, a Marshall Scholarship brought him to the U.K. where he spent 2 years at Imperial College London studying the photophysics of organic semiconductors for light emitting diodes and solar cells. He arrived at Harvard University in the fall of 2006 and began his Ph. D. studies with Prof. Charles Lieber in whose lab he led the discovery and development of nanoscale materials for next-generation solar cells and photonic devices. 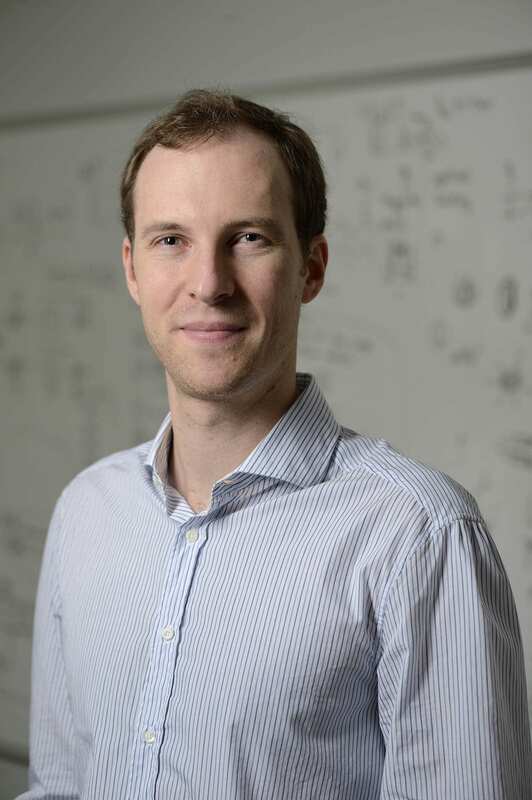 He joined Prof. Daniel Nocera's lab as a post-doctoral fellow in the summer of 2012 and uncovered electrochemical and hydrodynamic phenomena, which can be harnessed to form complex and regular patterns of inorganic nanostructures. He is the recipient of the MRS Graduate Student Award, the Dudley Herschbach Teaching Award, the Fieser Award Lecture, and, most recently, the 2013 IUPAC Young Chemist Prize. In July 2015, Tom joined the faculty of the Department of Chemistry at Johns Hopkins as an Assistant Professor. The Kempa Group is interested in synthesizing solid-state materials whose exciting and exotic properties can help address extant challenges in environmental sustainability and in human health. We develop diverse synthetic methods to make solid-state structures and devices embodying new phases, architectures, and topologies. Since these materials can exert unique control over critical physical processes (e.g. mass, charge, and energy transport), we use them to study un-answered questions in basic science and to define advances in solar cells, catalysts, thermoelectrics, self-assembly, optics, electronics, and biological imaging. (1) Synthesis of 2D materials and superlattices composed of perovskites and transition metal oxides for the transport, conversion, and storage of energy. (2) Development of new strategies for non-equilibrium assembly of sophisticated ordered networks for optical and electronic applications. (3) Preparation of multi-component inorganic nanoprobes for in situ interrogation and stimulation of electrogenic cells and neural networks. Our research is highly interdisciplinary in method and concept. Methodologically speaking, we use and develop a rich toolset of solid-state, electrochemical, and inorganic synthetic methods for materials and device preparation. Conceptually speaking, we explore and attempt to address fundamental challenges in energy, optics, self-assembly, and the life sciences. Lab members will gain exposure to and expertise in gas-phase and electrochemical synthesis techniques, numerous electronic and structural characterization methods, nano-device fabrication, photonics, spectroscopy, and energy research.